It’s never been easier to travel now that airfares have dropped and remote work offers more people the flexibility to travel. If you’ve ever been jealous of the glossy pictures you see on Instagram of exotic destinations, you’re definitely not alone. 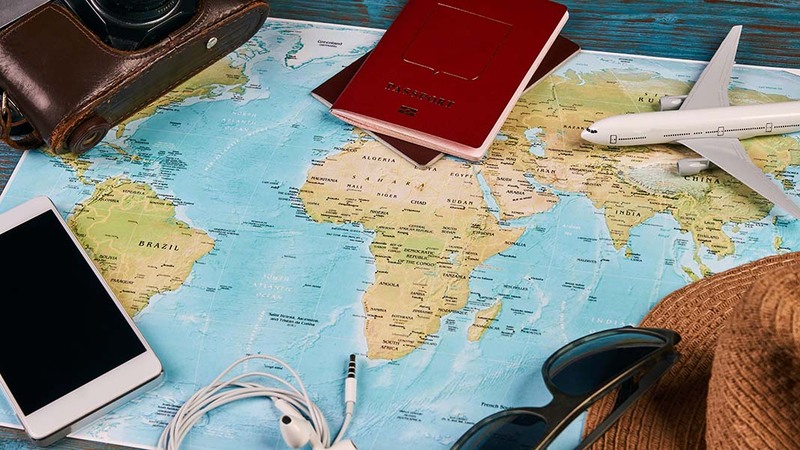 But wanderlust alone isn’t the only reason to dust off your passport. Travel can have a positive impact on you both personally and professionally, allowing you to grow and advance in your life and career. Let’s take a look at how taking off and seeing the work can enhance your life in different ways. Aside from bragging rights and some cool pictures, traveling has numerous benefits. A major benefit is that you’ll be forced to begin developing new skills the moment you step off the plane. One of the first skills that you’ll develop is adaptability. Whether you travel to Japan, Germany, or even a different state, you’ll be put into new situations you’ll have to adapt to. You’ll learn to become more confident in meeting new people, and you may have to get creative to solve problems on the road. These new skills will help you improve your confidence while giving you tools you’ll need to succeed in your career. Another major benefit of travel is the chance to clear your head, get yourself out of your daily routine, and refresh. You might come up with new ideas or gain clarity on what you want to do with your life. Plus, you’ll hit the reset button and you’ll work better once you return home. It might be hard to imagine how hiking through a jungle or trying an unfamiliar food could make you more professional, but it absolutely can. The more you get out of your comfort zone and learn about new cultures, the more awareness and self-knowledge you’ll gain. You’ll also become more empathetic, learning to become a better communicator and helping you to relate to people from all walks of life. You’ll learn to take calculated risks and fail with grace. Experiences outside of your everyday life push you to grow and understand yourself, which will help you in all areas of your life. If you are concerned about taking time off or the cost of travel, try looking at it as an educational experience. Since you get the most benefit out of traveling if you spend more than a week or two abroad, consider a long-term option like study abroad, attending school in another country, or giving back and volunteering. Many people finance their travels and enrich their experience by learning or even teaching—many countries are looking for English teachers and will furnish housing. If you’re worried about getting too far out of your comfort zone, consider going somewhere like Australia to study abroad or travel. Although it’s a foreign country, it’s an easy place to visit for Americans. They speak English and have a similar lifestyle, but there are huge opportunities for adventure and growth. Why is education such a compelling reason to travel? Because it immerses you into the culture much more than a simple vacation. This kind of immersion is where you’ll really see the benefits of travel—plus, you’ll get a degree that can help you succeed. 88% of students agreed that a graduate degree helped them become more competitive professionally. Anyone can use grad school and education as an opportunity to go abroad and further enhance their education. Traveling is an inspiring experience, and it can stoke passion or show you new opportunities you may never have considered. Spending time abroad could help you develop new business ideas or innovate within your current business. You’ll have a chance to see new possibilities and you’ll see your own personal mission more clearly, allowing you to align yourself with your goals and values. Wherever you go, traveling builds character, strength, adaptability, and provides perspective. Make it meaningful and worthwhile. You may or may not get your next big idea on the train to Paris—but it’s the journey that counts.